Study a communication, media or journalism degree at a top London university and you will add an internationally respected qualification to your CV, recognised by employers around the world. A number of universities in London offer degree courses in communication. A wide variety of communications courses are on offer, from broad communications courses to media courses, journalism courses, public relations courses, advertising courses and many more. A number of London’s universities rank highly for communications courses in a number of different rankings. The London School of Economics and Political Science (LSE) is ranked 1st in the UK and 5th in the world for media and communication studies. The Department of Media and Communications offers a number of masters degrees in communication as well as a summer school and a PhD programme. The School looks at issues in the emerging digital world about knowledge construction, political agency, cultures and identities and governing the media and communications environment. Goldsmiths, University of London is ranked 2nd in the UK and 22nd in the world for media and communication studies. The Department of Media and Communications provides students with the opportunity to learn key skills, create projects in various media and work with the latest technologies in excellent facilities. The University has strong industry connections, with recent students working with M&C Saatchi, Google, YouTube and Motorola. City University London is ranked 3rd in the UK and 28th in the world for media and communication studies. The university has over 100 years of experience of teaching and learning and is known for its international focus and the employability of its graduates. For example, 96% of its 2010 MA journalism graduates were in employment or further study within six months of completing their course. The University of Westminster has a world-class reputation that has been earned over a period of 175 years and ranks 4th in the UK and 31st in the world for media and communication studies. The Department of Journalism and Mass Communication offers a range of course, including journalism, television, public relations and radio. The Department has strong industry connections, including the BBC, Channel 4 and Sky, as well as a range of national newspapers and magazines. Additionally, the following London universities have been ranked as the 10 best universities in London for communication and media courses, according to the Complete University Subject Guide. Many other London universities also offer communications courses and media courses at undergraduate and postgraduate level. Use the course search to find communications courses. London is an exciting environment in which to live and study. The media and communication sector is a diverse and dynamic sector and degrees in the field of media and communication studies are also growing in popularity. 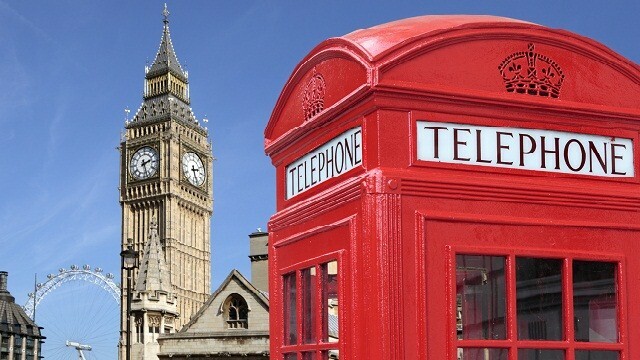 London offers over 400 communications courses at undergraduate and postgraduate level. Undergraduate degrees are three years, while masters degrees are one year and PhD degrees three to four years. London universities work closely with a wide variety of media related firms in London, the UK and across the world to give you the best chance of finding relevant work placements and internships during your studies. The city’s lecturers, tutors and professors are internationally respected for their communication, media and journalism research and industry experience.